Main program includes: Socializing, art workshops for families and kids, art show and bazaar, dinner, performance and songs by Andeesheh School’s students, poetry, and live music. RSVP is required to participate in this program by emailing to alisheik20@gmail.com before March 15. 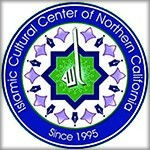 For more information please call 510-832-7600 or email to info@iccnc.org. *The language of this program is mainly in Farsi. 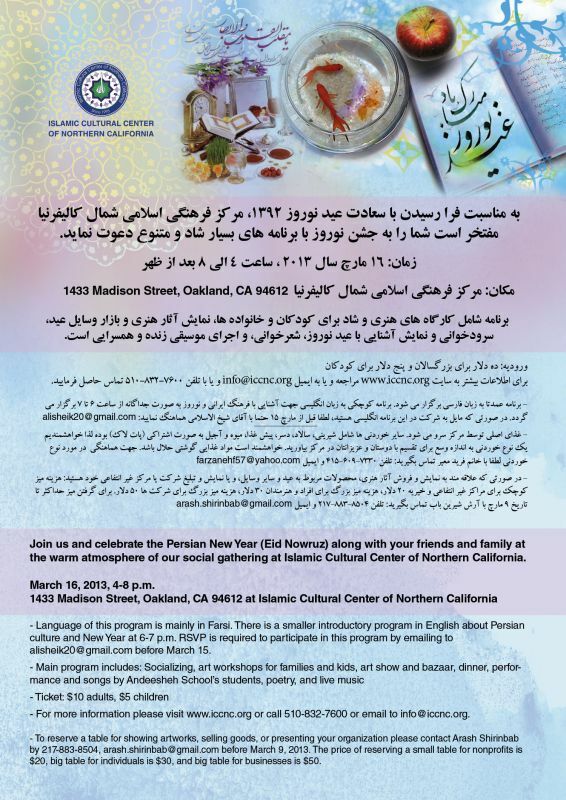 There will be a smaller introductory program in English about Persian culture and New Year at 6-7 p.m.
**The main dish for dinner is provided by ICCNC. All other foods are pot luck and we request everyone to bring something and share with others including salad, appetizer, fruits, sweats, etc. Please note that meat must be Halal. Please contact Farzane Faridmoayer by 415-609-7330, farzanehf57@yahoo.com to coordinate for bringing food. *** To reserve a table for showing artworks, selling goods, or presenting your organization please contact Arash Shirinbab by 217-883-8504, arash.shirinbab@gmail.com before March 9, 2013. The price of reserving a small table for nonprofits is $20, big table for individuals is $30, and big table for businesses is $50.